An integral part of Oriental Medicine is the use of Chinese herbs, which can substantially aid in the restoration and maintenance of balance in the body. Herbs are highly specific in their actions and herbs not only possess different qualities and properties, but also target different aspects of the patient’s disharmony. The herbs are made from organic substances such as plants, flowers and minerals. However, herbs rarely elicit side effects and have been proven safe and effective during thousands of years of use. 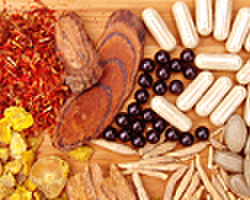 Herbal formulas can be specifically designed for the individual needs of each patient. Formulas come in many forms, including herbal teas cooked from raw herbs, prepared pills, powders or tinctures.